There are times when it is advisable to take a step back, to re-assess your opinions, and question whether first impressions will last beyond those initial moments. 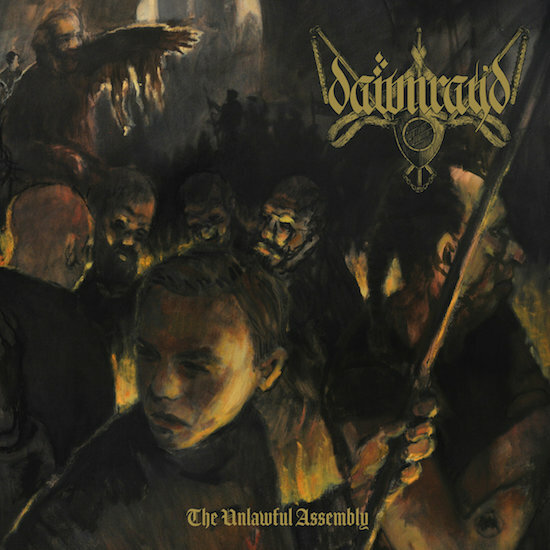 It’s with this in mind that I approached The Unlawful Assembly, the first full-length LP from Liverpudlian black metal band Dawn Ray’d. The trio have built up a considerable buzz in certain pockets of the underground for their atmospheric, politically charged black metal, with live performances and previous EP A Thorn, A Blight showcasing a band full of passion, talent, and creativity. As such, expectations were high for The Unlawful Assembly, to the extent that initial impressions may not have been so accurate – we’re all guilty at some point of claiming something is good because we want it to be good, rather than because it actually is. Yet after over a month with the record, it has proven itself to be one of those rare creations that grows stronger with repeat listens, to the extent that there is a strong argument to be made that it is one of the best black metal releases of 2017; and furthermore, that Dawn Ray’d are one of the most vital and exciting bands currently operating within black metal’s broad church. Whilst The Unlawful Assembly can be described as some extent to drawing from atmospheric black metal, with the forest-dwelling spirit of Ulver‘s earlier works being a key reference, it is a far angrier, more direct record than that sub-genre might imply. The album is full of righteous political rage, with each song taking aim at corrupt governments, apathy, and fascism; most songs are relatively short – only the final two tracks clocking in at over five minutes – and with only two notable exceptions, they burn with a vitriol and passion that is commonly found in blackened crust or the modern USBM exemplified by the likes of Woe. If anything, they come closest to have picked up where violinist/vocalist Simon B and guitarist Fabian D’s former band, We Came Out Like Tigers , left off; there is certainly some of that band’s blackened screamo present in the DNA of Dawn Ray’d. But even then, this only tells part of the tale, and at no point do Dawn Ray’d really sound like anyone else; in a genre that is often weighed down by hordes of corpse-painted clones, the band have managed to create a unique sound. Part of this is down Simon’s violins. They add a sense of sorrow to what is an album otherwise defined in large part by its anger, as if mourning for the loss, suffering and misery that arises from ignorance and hatred. This is especially effective when the otherwise furious guitars and Matthew B.’s pounding drums ease off, letting the violin come to the fore and carry the melodies, as on ‘The Ceaseless Arbitrary Choice’; yet they also combine well with the more belligerent moments, as during the opening movement of stand-out track ‘The Abyssal Plain’, which is one of the most hair-raising, emotionally devastating black metal songs of recent times. Further attention also has to be given to acoustic neo-folk tracks ‘A Litany to Cowards’ and ‘A Thought, Ablaze’, which close the two sides of the album on vinyl, and add a further musical and emotional dimension to The Unlawful Assembly. ‘A Litany to Cowards’ being especially effective with the lines “The language might be different / The sentiment’s the same / You chose the weakest / To shoulder all the blame” drawing a straight line from the fascist movements of old to those that are now in terrible ascendency across the world. This doesn’t account for all of what makes The Unlawful Assembly such a success, and the majority of it is deceptively simple. 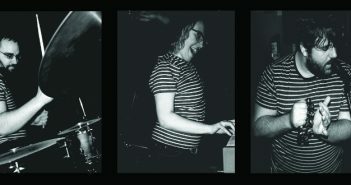 Whilst they may have created a unique sound, they have done so without forgetting the importance of quality songwriting, and of performing your songs with the passion they deserve. It is clear that every note and lyric on this album is absolutely meant, pondered over and fully considered before being put to tape. Nor are Dawn Ray’d content to take the easy targets, singing vaguely about government or the police. Topics tackled here include the way that prisons are used to maintain old structures of power (‘The Abyssal Plain’); the abuse of women and institutional male privilege (‘Emptiness Beneath the Great Emptiness’); and that the concept of nations ultimately serves to divide people and turn them against people deemed as “others” (‘Strike Again the Hammer Sings’). Anarchist and anti-fascist thought runs through the album like blood does a human body, and it is a genuine delight to hear an album tackle such broad topics from a solid intellectual frame, and do so intelligently. The Unlawful Assembly is probably one of the most important black metal records of our time. It is blazing a fearless path, musically distinct and unafraid to say things that will upset some in the underground (and, depressingly, the political mainstream). 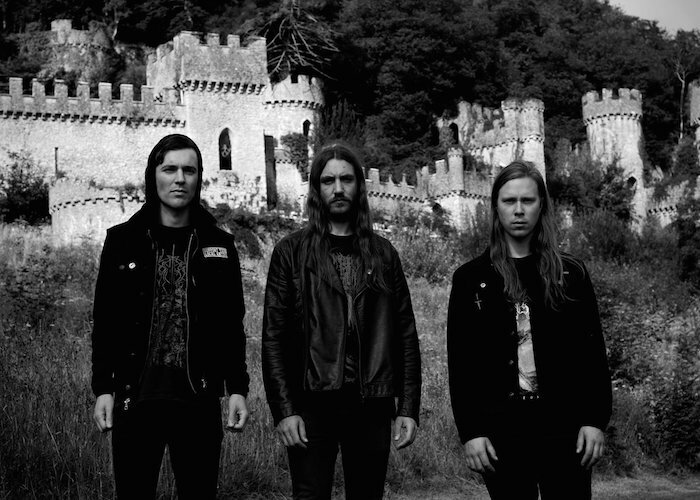 At a time when black metal, and the world as a whole, seems to drown under a rising tide of racism, sexism, and resurgent fascism, a band like Dawn Ray’d could not feel more relevant or inspiring. The Unlawful Assembly is phenomenal, and Dawn Ray’d deserve to be huge.